The Women’s Sentinel Jacket features everything you need to stay dry in the worst conditions. 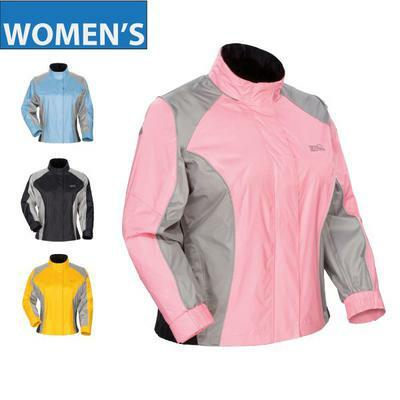 A patterned and styled specifically for women Rip Stop nylon shell with sealed seams offers waterproof protection while our patented Aqua-Barrier™ under-the-helmet hood eliminates seepage in the collar area. In foggy conditions, 3M™ Scotchlite® reflective piping helps to keep you safe and be seen. The Sentinel Jacket offers the best in waterproof protection.